The S Pen stylus is coming to Samsung's upcoming Galaxy Note phone. I often wonder why the company still gives one of its biggest phones a stylus, a seemingly antiquated technology. Most people use it for taking notes, but it's handy elsewhere on the phone, too. 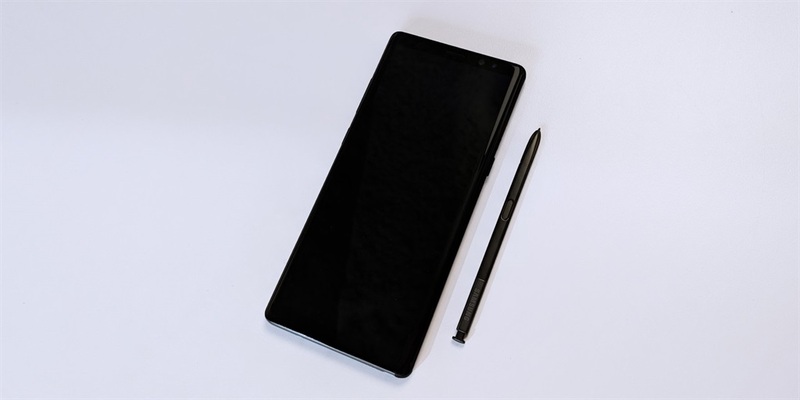 Every year when Samsung announces a new Galaxy Note phone I ask myself why the company is sticking with the S Pen, the stylus that comes with the company's super-sized Galaxy Note phones. Indeed, the next Galaxy Note phone, which will debut this autumn, will bring the S Pen back for another go-round. Surely, this age-old technology — which debuted for most consumers on the Palm Pilot in 1997 — has no place here in 2018. But I am so very wrong. I was totally surprised to find out that 92% of Galaxy Note 8 owners — the most recent model — are active users of the S Pen, Samsung senior director of smartphone marketing Drew Blackard told Business Insider. And 73% of those who bought the Note 8 bought the device specifically for the S Pen. Blackard said Samsung isn't disclosing Galaxy Note sales numbers, so it's hard to know in absolute terms how popular the stylus might be. Still, he did tell me that more people in the US pre-ordered the Note 8 when it was announced than any previous Note device. That's especially notable because the Samsung Galaxy Note 7, the 2016 model, was infamously recalled after several of the devices overheated and exploded, triggering a global recall. Still, it shows that there's demand for the Samsung Galaxy Note product line, and it turns out that a large majority want it for the S Pen. With that in mind, it would be misguided for Samsung to drop the S Pen in its Galaxy Note smartphones, no matter how obsolete they may seem. It would disappoint an overwhelming number of S Pen fans on a device that's a "central part" of Samsung's premium device strategy, Blackard said. The Galaxy Note 5 and its S Pen. So what do these S Pen loyalists know that I don't, and why do they need it so badly? 60% of S Pen users continue to use the S Pen and Galaxy Note combo for the simple stuff, like writing down lists and notes — the original allure of the very first Galaxy Note model from 2011. Some might prefer to write down notes with an on-screen keyboard, but others clearly value the S Pen for jotting things down quickly. And Samsung's made it easier for those users, generation after generation, with better technology in the S Pen itself, like adding higher and higher levels of pressure sensitivity. 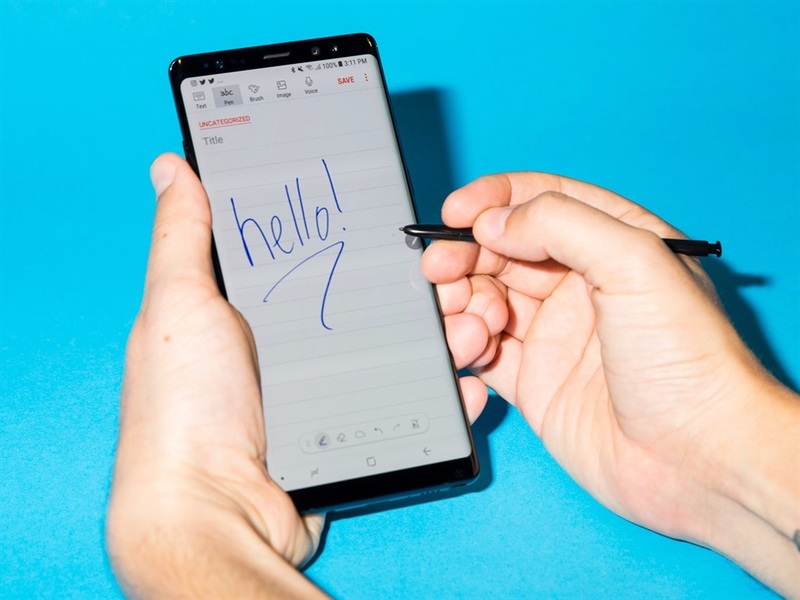 The Galaxy Note 8, last year's model, has 4,096 levels of pressure sensitivity, which helps with accurate handwriting and drawing. Compare that to the first Galaxy Note's 256. To put that into further perspective, a finger tip only has one level or pressure sensitivity. The company also added features like "screen off memo," where S Pen users don't even need to wake their Note from sleep to write down a note. 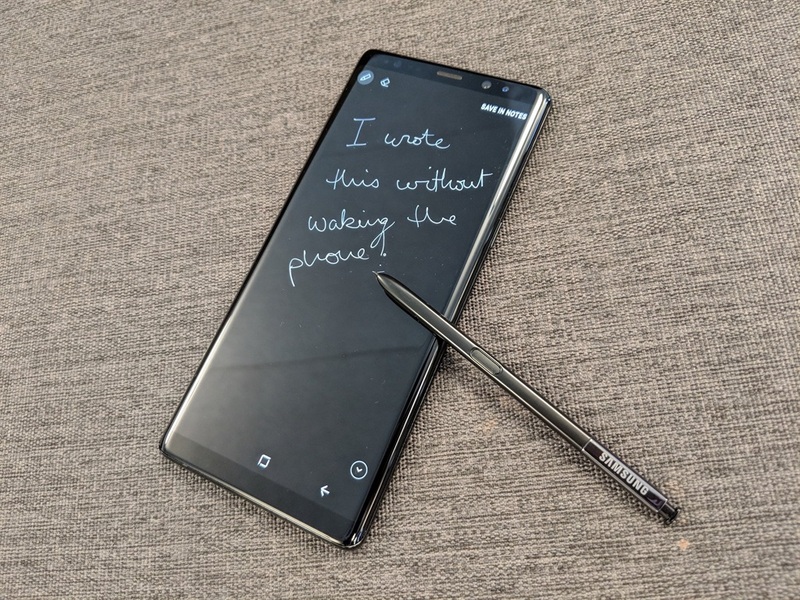 "More and more people are using [the S Pen] for direct communication," like replying to a text message with a hand-written message, Blackard added. And the S Pen has evolved to become more of a tool to some Note users. "A lot of people use it for more precise navigation of their phone," and even for more precision in games, Blackard said. One thing that Blackard does often on a Note device is sign a PDF document and send it right back. It makes me feel like I've been doing it wrong this whole time by printing out the PDF, signing it, scanning it, then sending it back to the sender. Then there are the "creativity" users who use the S Pen on a Note device for more artistic purposes. 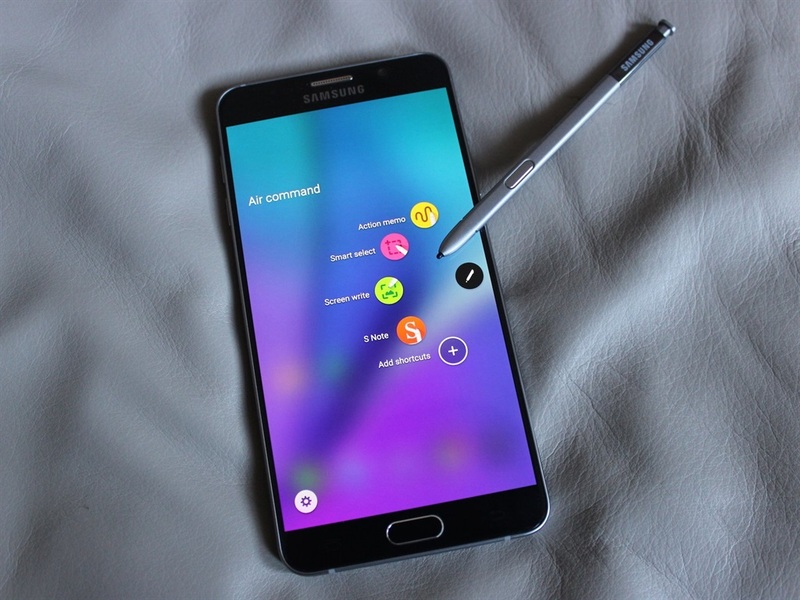 Samsung pre-loads its Note devices with an app called Pen Up, basically a sketching social network designed for Galaxy Note and S Pen users. 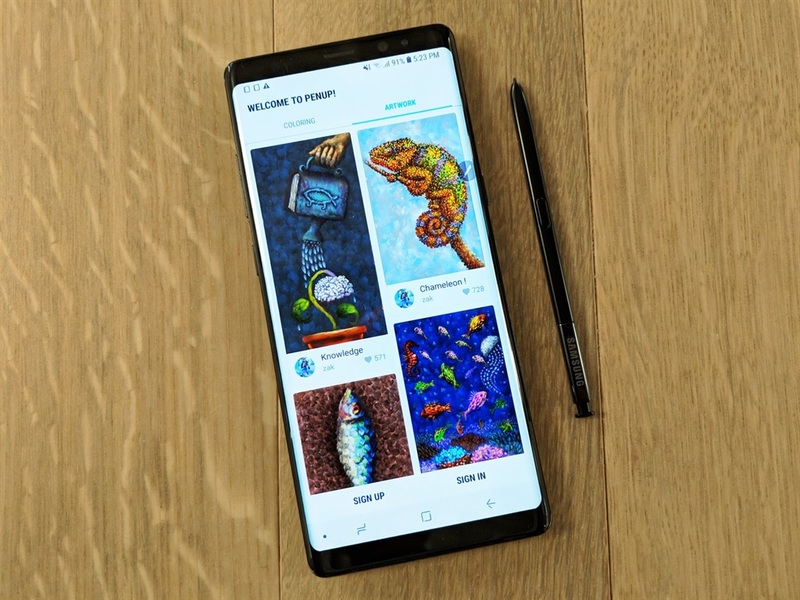 The company has an astounding 400 million users on Pen Up who are creating and sharing their art on the app since it was introduced in the Galaxy Note 3 in 2013. I had no idea people were creating art — or would want to create art — on a smartphone. But they do. Generally, "it’s really the user who wants to get more done, someone who’s juggling a lot in their life. They're spending more time on their device than the standard user, and they don't necessarily want to sit down on their computer to do other tasks" Blackard said. That comment made me think that perhaps I'm not really the smartphone power user I thought I was, and the true power users are the Galaxy Note fans with their S Pens. For the next Galaxy Note that Samsung is announcing this Fall, Blackard only gave me a couple hints as to what the S Pen will bring. Expect some kind of integration with the camera and better functionality with games. Otherwise, we'll have to wait and see.